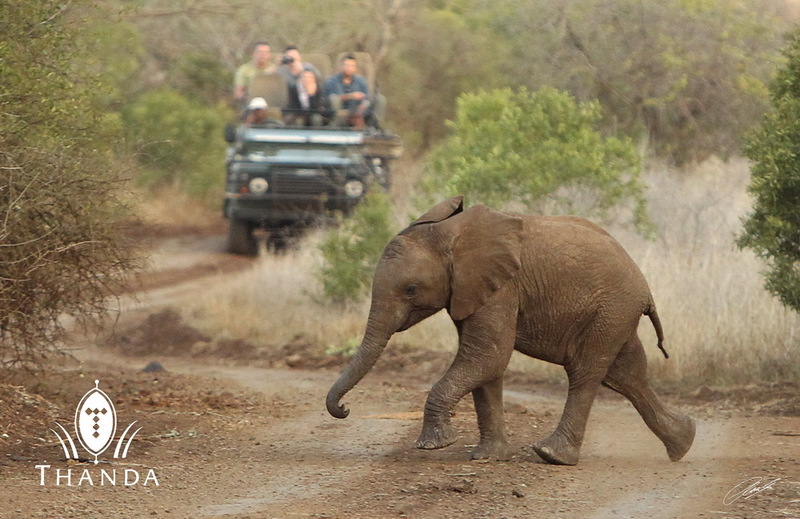 One of the youngest Thanda Elephants had to move fast to catch up with its mum. 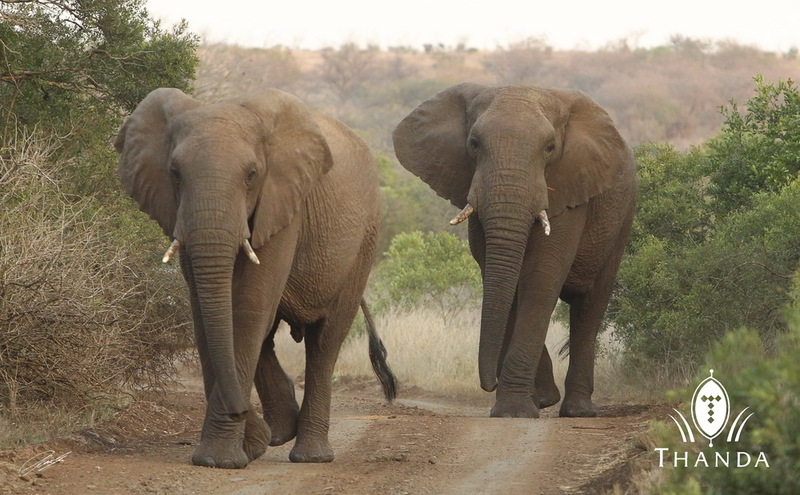 We had an excellent sighting this evening when the breeding herd crossed the road right in front of our vehicles. Five of the Thanda bull were trailing the herd. The two young bulls in the picture below gave us a good look before they moved on. ← Bheki’s Bush Talks: A Bush Tooth Brush! I love your photos – great!